Founded in 2008, the Danish freight forwarding and logistics company started out with customers in the furniture and fashion industry and then expanded to other sectors such as machinery and agriculture. While Carelog is especially strong in ocean freight, Panalpina is traditionally strong in air freight. 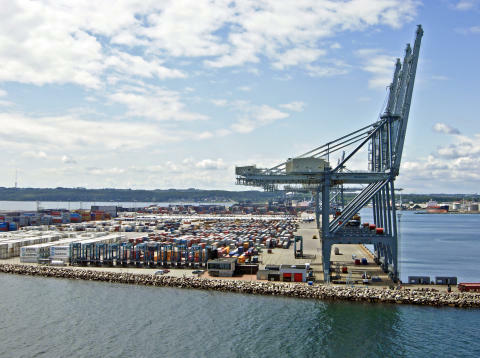 The merged company employs approximately 70 people that provide ocean freight, air freight and logistics services from six locations in all regions of Denmark including in Copenhagen, Aarhus and Odense. “Carelog has a very healthy customer base while Panalpina has the global network and profound industry expertise that will together allow us to service the international companies optimally. We are proud to become part of a larger family and reputable brand. And although we may merge with a global player we will always be conscious of our roots and stay flexible for and committed to our existing local customers,” adds Lars Engbo, managing director of Carelog. 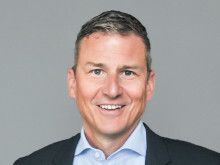 Engbo, who was one of the founders of Carelog, has been appointed as managing director of the new company that operates under the name of Panalpina Carelog. The two companies have agreed not to disclose any financial details of the deal. 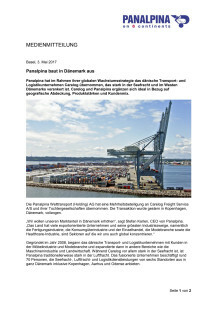 Panalpina hat im Rahmen ihrer globalen Wachstumsstrategie das dänische Transport- und Logistikunternehmen Carelog übernommen, das stark in der Seefracht und im Westen Dänemarks verankert ist. Carelog und Panalpina ergänzen sich ideal in Bezug auf geografische Abdeckung, Produktstärken und Kundenmix.